With the upcoming release of the new AMD Ryzen Desktop APUs, also known as AMD “Raven Ridge” processors, major motherboard brands released BIOS updates to prepare their existing AM4 motherboards to support the new AMD APUs. 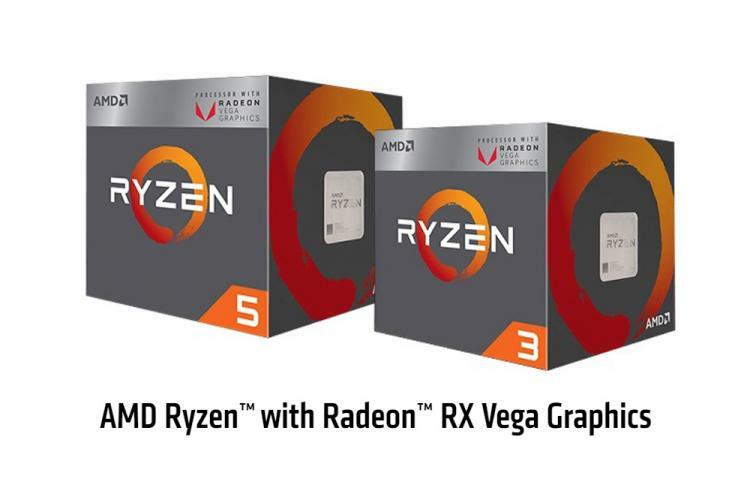 The upcoming Ryzen Desktop APUs with Radeon RX Vega graphics are the AMD Ryzen™ 5 2400G and AMD Ryzen™ 3 2200G, to be released this February 12, 2018. While there are no official statements from the partner motherboard manufacturers, new BIOS versions can be found on most AM4 motherboard’s product page indicating support for the new processors. AM4 motherboard users will simply need to update their board’s BIOS to the latest version to futureproof it and support the new Raven Ridge APUs. Checking out GIGABYTE’s AM4 motherboard product pages, a new BIOS version is available indicating support for Raven Ridge processors. Update: As of the 12th of February 2018, GIGABYTE confirms availability of new BIOS supporting the new AMD Ryzen processors with Radeon Vega Graphics. MSI’s AM4 motherboard product pages also have new BIOS versions to support Raven Ridge CPUs, found at the product page’s Service tab. Update: As of the 9th of February 2018, MSI confirms availability of new BIOS versions to support 2nd Generation Ryzen APUs. ASRock also appears to have new BIOS versions for the upcoming AMD processors. Also, ASRock also provided a list of Raven Ridge-certified DDR4 memory kits under the “Memory QVL (Raven Ridge)” section. Update:As of 12th of February 2018, ASRock also confirms availability of new BIOS versions to support the new AMD Ryzen APUs for all AM4 motherboards. ASUS may also have new BIOS version prepared to support the upcoming processors. BIOSTAR also have prepared new BIOS versions to support Raven Ridge processors on its AM4 motherboards and have already listed both the AMD Ryzen™ 5 2400G and AMD Ryzen™ 3 2200G processors on the CPU Support list.